As a surgeon, I want to commend Steven Brill on an outstanding article. A detailed discussion about the pricing and profits in health care is long overdue. You succeeded in putting a personal face on this crisis, and yes, it is a crisis. Most people are not aware of the outrageous costs until they or a family member becomes ill. Indeed, we are but one major illness away from bankruptcy. To the Republicans: the health care market is not a free market. Competition raises costs, it does not lower them. Why? Fancy new buildings and technology of dubious benefit raise costs. Patients always demand what’s new, because it is perceived to be better, even when it is not. Get over your dislike of President Obama; being against Obamacare is not enough. Our healthcare costs are bankrupting our nation and hurting our international competitiveness. You need to come up with realistic, constructive solutions. As on the issue of Social Security and Medicare, you risk being on the wrong side of history. To President Obama and the Democrats: Do not think that we practicing physicians love everything about Obamacare. The goal of universal coverage is laudable. But your failure to address the issue of cost, so eloquently illustrated in this article, will bring the entire health care system down very soon if it is not addressed. And I appreciate the article’s emphasis on the need for liability reform. The hidden cost is enormous. I read Mr. Recchi’s story with interest on several levels. First, as a physician, I know how important it is for Americans that health care “get it right.” Second, as a person also diagnosed with non-Hodgkin’s Lymphoma, I understand the fear and uncertainty that comes with such a devastating diagnosis. And finally, on a third level, I serve as Chief Medical Officer for a company whose vision is to improve the quality and lower the cost of healthcare through better use of data and analytics. I can understand the frustration of not being able to get answers to questions such “where can I get the best care”, “what should it cost” and “how can I compare hospitals to understand my options?” As a country, we are starting to turn the corner by exploring new payment models, facilitating price transparency and, most importantly, moving away from a payment system that financially incents doctors to do more, expects individuals to not care about the costs and rewards hospitals if they “keep the beds full,” all while not singularly focusing on improving the quality of the care provided. For many, U.S. health care is the best in the world. For many others, it is not obtainable. It is a travesty that Mr. Recchi will go bankrupt in getting the care he needs, while the next personmwith non-Hodgkin’s lymphoma may not even notice the price tag. Excellent work by Steven Brill on health care costs. It is good to see our government beating down the chargemaster. Since hospitals do not have a problem delaying treatment until they see the money, then a slight delay to see the chargemaster-proposed billing in advance of treatment should be required. Just like at the car repair shop – no advance quote, no pay required. What a great way for the Republican party to redeem themselves in the next election cycle- promote a smart, effective pro-health care competition bill embracing the things Steven Brill recommends in his article in a way that makes it as hard as possible to bypass and water down with riders to other bills. Signing on would be a wonderful litmus test for all elected officials that both the Tea Party, Coffee Party, and almost every other political movement out there can support. This would render the health care industry ineffective against lobbying successfully for business as usual. Thank you for Mr. Brill’s important and compelling report. Our own experience with M.D. Anderson ended a year ago, when our 26 year-old daughter died of complications from leukemia after two years under their care. Although the doctors, nurses, and other professionals at MDA were caring, our experience with the hospital administration was much like the Recchi’s experience. Fortunately for us, our insurance nightmare ended, and our insurance carrier provided very good coverage. It is not at all clear, however, if we had not had the financial means to make a large up-front payment and access to legal resources to compel our carrier to provide insurance coverage, that Sarah could have received treatment at MDA. We have made some significant contributions to MDA in the past year. But now that we have a clearer picture of its finances, the ethics of allocating our charitable dollars to such an outrageously wealthy organization seems highly questionable. I am amazed at your painstakingly amazing and honest article. We may still be the greatest superpower in the world but we are definitely heading toward our own destruction. Steve Brill’s article Bitter Pill is the most comprehensive and analytical treatment I have seen on the state of health care. The failure of Obamacare to address medical malpractice and the official sanctioning of an incomprehensible and irrational method of billing and payment should outrage any American, but does not, because most are insured in some form or another and someone else is paying the bill. Although Mr. Brill suggests excellent solutions, the real root of the problem in health care lies in the unholy alliance of the special interests and their lobbyists and the elected officials of both parties and the regulators. What congressman for example, with the interests of the country and taxpayers in mind, would vote for a law which bars the government from negotiating with drug manufacturers for a lower price? I almost had a heart attack reading Steven Brill’s “Bitter Pill” — but realized I really couldn’t afford it! Isaac M. Jaroslawicz, Bay Harbor Islands, Fla. Kudos to Steven Brill and Time Magazine for this informative report! This is what journalism should be. Thanks for lifting up the rug and shining much-needed light on the health care cost mess. There are a couple of other points that bear mentioning. It’s not just patients that don’t know the cost of their care up-front; we doctors don’t know either, and it’s difficult for us to find out. (Nor do most of us care so long as insurance or Medicare is paying the bill.) Making things worse, in the name of being thorough, we doctors order scads of unnecessary and wasteful tests without regard to cost, many of these for elaborate investigations of stress-related complaints. We doctors don’t think about cost until our patient looks us in the eye and says, “Doctor, I don’t have insurance. What is this going to cost?” Insuring more people is not the answer. It will simply throw fuel on the flames and speed us toward personal and national bankruptcy. As President and Chief Executive Officer of a community hospital in small town America, I was impressed by Steven Brill’s naiveté, simplicity, and biased agenda related to healthcare costs. Rising healthcare costs must be addressed from a broader objective perspective to include the accountability of the public we serve. An assumption under the social contract is that the public also has accountability. One needs to look at the demand for healthcare as a critical factor in the rising cost. Hospitals across our nation are afflicted by moral hazard. Many citizens use the local hospital Emergency Department as a 24 hour clinic knowing that by federal mandate hospitals must address their medical demands regardless of their ability to pay. The rising cost of healthcare is also reflection of the societal issues. A case in point is the impact thatobesity has on the health status of our nation. Another national issue is the rising epidemic of mental illness. For many of these citizens there only rescue is the local hospital Emergency Department. Again, a broader discussion from an objective perspective needs to occur if we are ever going to reduce healthcare cost. Steven Brill’s impeccably researched indictment of our health care industry gone haywire should lead to Congressional hearings where industry officials are forced under oath to justify their unethical and shameful gauging of the sick and vulnerable whom they’re hired to protect. Allyson J. Kleiman, Lake Worth, Fla. I can’t say I was shocked by the revealing feature section on America’s health care costs, but the excessive salaries of hospital administrators was totally outrageous. Jordan Austin, Port Hueneme, Calif.
Steve Brill rendered an absolutely incredible article detailing the medical dilemma we face. We have an easy solution.Offer Medicare to everyone and offer no insurance payments to physicians; let them negotiate payment with patients for any and all services. Then eliminate Medicaid. Let Medicare pay hospitals. Costs will drop by over 50% in less than a year. Our “crisis” will be over. 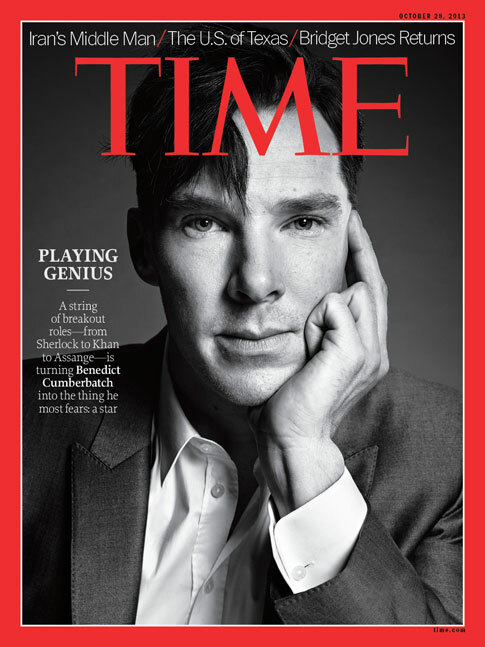 I have been reading TIME magazine for something like 50 years, and in all that time I have never written to you. But your March 4, 2013 cover story by Steven Brill is the finest, most well-informed, best-presented piece of investigative journalism that I haveever read. Please encourage this level of courageous, quality reporting. I have never before written a letter to the Time Magazine editor’s desk, but Steven Brill’s powerful piece of investigative journalism has prompted me to do so now. I want to thank him for bringing this issue to the attention of the American people. If there is an institution moredysfunctional than Congress, it has to be the U.S. health care system. It is wrecking families and bringing down the national economy and something needs to done. Is it too much to hope that a few of those who are at the top of the system reaping such ill-gotten gains from desperate people will actually reflect upon the monstrosity they have helped to create and sustain? Will some physicians out there be reminded of their Hippocratic Oath? Willpoliticians who have been on the fence due to the might of the health industry lobbies pluck up the courage to do what is right for the country? In the richest country in the world, this is a truly shameful situation. Steve Brill’s article on why the U.S. spends so much on healthcare was a real eye opener. Please pass along mythanks to Mr. Brill for his many months of hard work and dedication to the American people. I wish I could get everyone Iknow to read those 25 incredible pages. I am trying! My next step today will be writing to my Senator and Representative to ask them when this economic fiasco will be cleaned up so that seniors such as I can cease becoming the scapegoats for Medicare costs and health care spending and the American taxpayers will cease carrying this enormous burden. Marilyn Martin, Chesapeake Beach, Md. I don’t write thank you notes on reporting. But I, and the rest of this nation, should thank TIME and Mr. Brill for doing the old-fashioned investigative reporting that matters in all the right ways. Mr. Brill’s piece reminded me of just how much we desperately need solid reporting in a nation where regular people are routinely disadvantaged. Getting to the heart of a story like this is hard work, telling it is hard writing, and reading the unnecessary and cruel mental anguish these folks are going through makes for hard reading. And all of that is essential to a functioning democracy. The “Bitter Pill” article by Steven Brill (March 4th) was one of the most enlightening pieces of journalistic work ever to appear in a major publication. 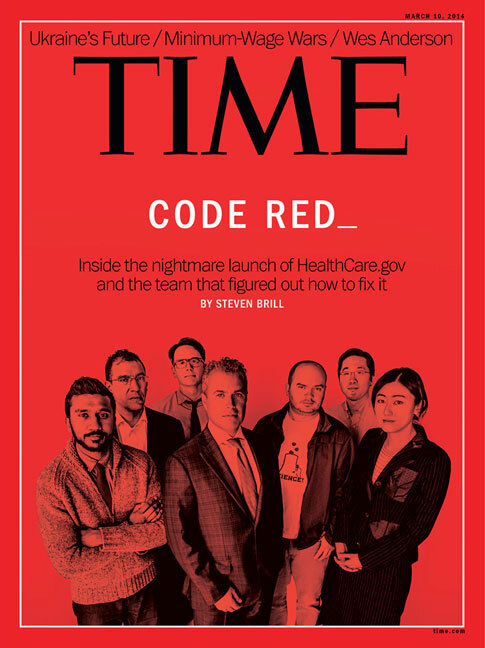 And, congratulations to Time for devoting so much space for it.This careful analysis of the core failure in the delivery ofaffordable health care to all U.S. citizens today highlights the fact that “too much government” is not our main problem…an ineffective government is. The blame can be laid directly at the feet of our elected officials, who continue to fail to produce legislation which benefits the electorate instead of special interest groups. There is an important fact about unsustainable hospital costs which Steven Brill in his excellent article in the March 4 edition did not identify, namely that hospital and overall costs have already been brought under control in delivery systems models in which there is a built-in financial incentive to minimize costs while maximizing quality. For example, in prepaid group practices like Kaiser-Permanente, an integrated system of ambulatory and hospital care with salaried physicians and other health care providers, the problems and abuses Brill identifies are absent. While the reforms Brill identifies are important , the crux of the problem, as I and many experts in the field read the evidence, is how the delivery system as a totality is structured. Richard Feinbloom, M.D., Seattle, Wa. About 40 years ago, I had a neighbor who worked in a hospital billing office. She once told me that, after the amount covered by insurance, they would often arbitrarily bill patients an additional amount that the patient was likely to pay but not too much more because if a patient protested they often had to reduce the bill. I didn’t give this revelation much thought until about 15 years ago when my wife and I became responsible for her elderly parents’ finances. They were both approaching 90 and often needed hospital care. Although theywere on Medicare and also carried private insurance, almost every hospital visit was soon followed by a bill for an additional amount, usually under $100, for which we would write a check. But there were several occasions in the next few years that they were billed for amounts well in excess of $100. When that happened we would question the bill and, with one exception, were always given a refund with an apology and a reason such as the computer was down that day, a temporary employee had sent out the bill, etc. As a physician, I think this article raises many important points that warrant serious discussion. As an oncologist, I think there are many ways we can lower the cost of care, most of which will not compromise quality of care, and some of which may actually improve quality of care. As a recent graduate of M.D. Anderson Cancer Center, I think there may be “more to the story” of this institution than this article reflects. For two out of my threeyears of fellowship, I provided care for cancer patients through MDACC’s outreach clinic at Lyndon B Johnson Hospital. Although there were many motivations behind the care delivered by the fellows, attending physicians,nurses, and support staff at LBJ, I can safely tell you that money was not one of those motivations. As fellows, we did well to stay on top of our student loan payments, rent, groceries, and utilities. But we worked very hard for what we earned, and the long hours we spent in clinic seeing patients represented only a tiny fraction of that work. Outside of clinic, all fellows were available by phone for our patients 24 hours a day, 7 days a weekI made house calls to patients who weren’t eligible for Hospice. When my patient could no longer afford to pay his phone bill, I drove to his apartment to tell him that he had acute leukemia, and that we needed to start treatment the following day. And my sacrifices were trivial in comparison to those made bysome of my attending physicians (all employees of MDACC), who literally dedicated their careers to delivering outstanding cancer care to patients who could otherwise not afford it. I owe much of what I know about oncology to my teachers at LBJ, and I don’t just mean what I needed to know for a board exam. They taught compassion through example, not because it was profitable, but because it was the right thing to do.